Many of the world’s fastest cars sell as quickly as they move, despite the high price tag. Of all the car manufacturers competing to produce models that rank among the fastest cars in the world, only a few have achieved such enviable status. With Hennessey and Bugatti dominating the top five, these are the fastest production cars in the world. 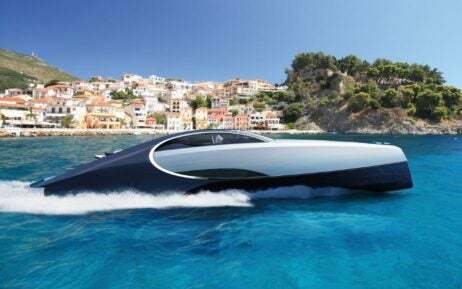 Following on from the tradition of developing Super Sport version of models that have been particularly successful, Bugatti came out with the Veyron Super Sport. This model became one of the fastest cars in the world. 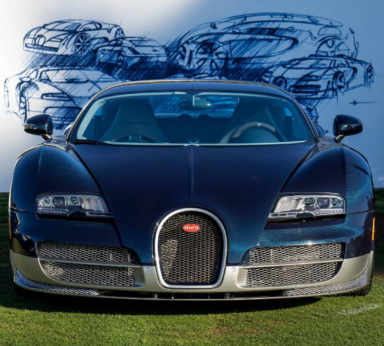 The luxury car brand is well versed at creating exclusive cars that are capable of reaching astonishing speeds, and the Bugatti Veyron Super Sport is no different. The supercar can reach a top speed of 258 mph and has a number of other impressive specifications – 1,200 hp, a maximum torque of 1,500 Nm and acceleration from 0 to 100km/h in 2.5 seconds. The Bugatti Veyron Super Sport also holds the title of the world’s fastest production car by the Guinness Book of World Records by reaching a world speed record for road cars of 431.072 km/h (268 mph). 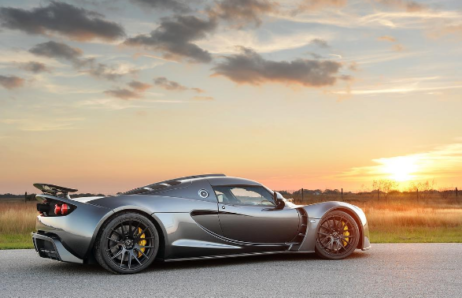 Despite reaching a higher speed than the Bugatti Veyron Super Sport, the Hennessey Venom GT isn’t recognized by the Guinness Book of World Records as the world’s fastest, as record attempts require a run in each direction, which the Hennessey wasn’t allowed to do by NASA. Still, the Hennessey reached an astonishing 270 mph at the Kennedy Space Center (a track which is lined with water-filled ditches) in Florida. “Being the fastest matters,” said company founder and president, John Hennessey. “We are intent on keeping the Venom as the fastest, best performing and most exciting hypercar on the road”. In January 2017, Hennessey announced that the production of the Venom GT Final Edition had concluded. This new model is powered by the same twin turbo 7.0 liter V8 engine, which produces 1,451 bhp. This final edition was quickly sold for a price of $1,200,000. Including the prototype, Hennessey have produced 13 Venom GTs – the first six as hardtops and the last six as roadsters.